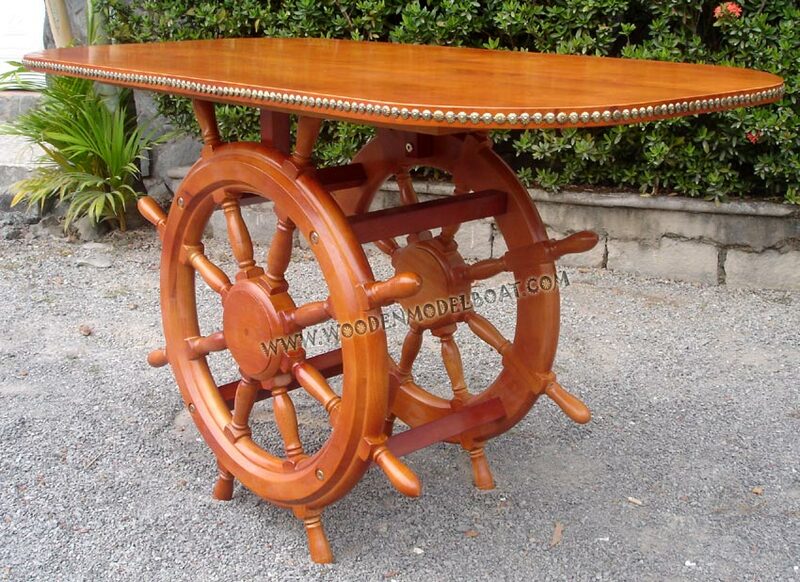 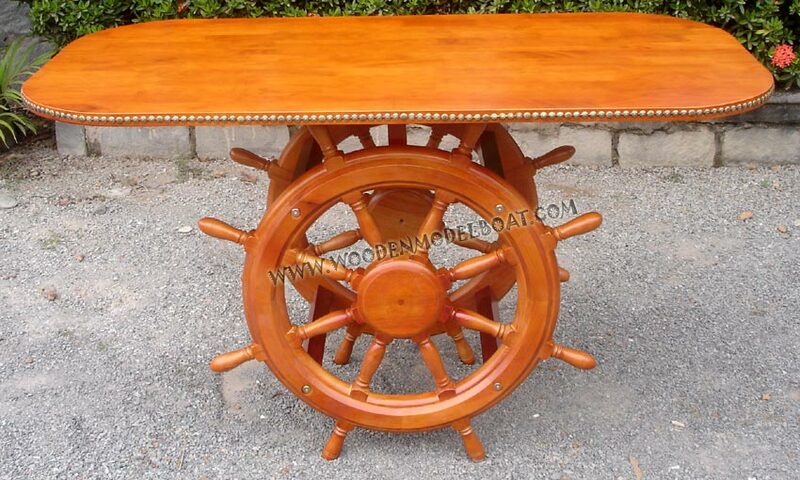 This ship wheel dining table is hand-made from wood and finished as natural wood used. 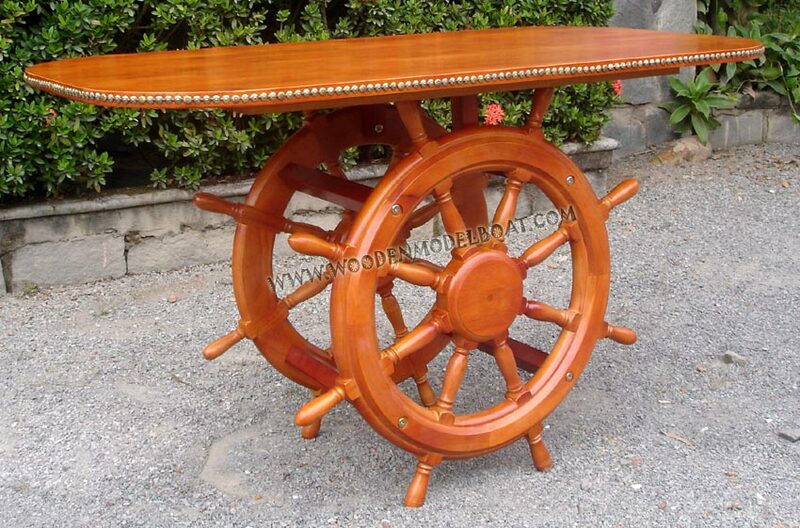 This product is not only a nice piece of nautical decoration in your home but also suitable as a neat dining table. 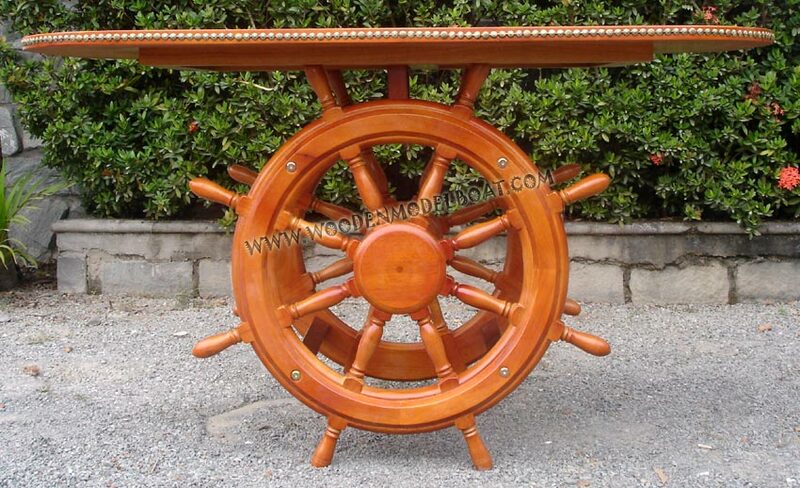 Product is packed as knock-down type and need some assembles.